There are 16 places available in the event. The next Beach Club Tournament will be in Teras Saturday, 11.5.2019! These 18+ monthly events will save you from the fall’s dark, rainy and cold day’s. 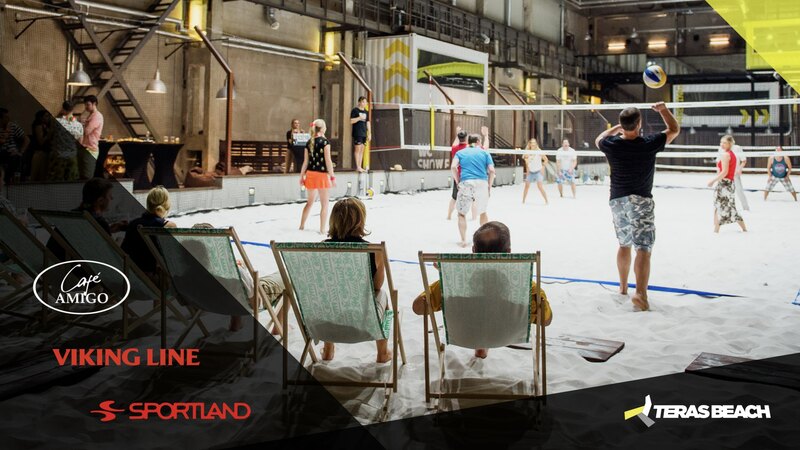 Laid back beach volleyball tournament will be played in +26°C heat, and frosty drinks will cool you down while the DJ is playing your favorite tunes! Your team can be mixed, atleast one women needs to be on the court. Your team can have 3+ persons. Price is 80€/team or 20€/ All Stars - player. 21:00 - 01.30 Sauna is on! Create and sign up your own 3+ (unlimited) persons team to this hot and moist night! If you want to join the All Stars - team, send your name, number, and email to Mart (+37256657798, mart.tiisaar@terasbeach.ee). All Stars - team consists of other solo players and staff members. How many players are you singing up? Greetings to event organiser. Also inform if this is a prize from other Beach Club Tournament.